Our company "Dhara Industries" is established in the year 1994 with its operational unit located at Ahmedabad, (Gujarat, India). 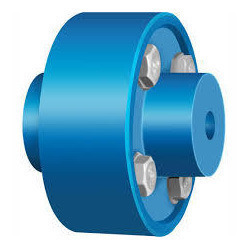 Ours is Sole Proprietorship base company holds skills in the manufacturing and supplying a wide range of Belt Pulley, Timing Pulley, Industrial Coupling, Chain Sprocket, Hand Wheel, Trolley Wheel, etc. Offered products are manufactured by our proficient professionals by making use of quality assured raw material and contemporary machines in line with the set industrial standards. Serve a broad range of industries, these products are obtainable in varied specifications. As well, these products can be customized as per the drawing of the valued clients. Provided products are highly renowned for their simple installation, sturdiness, high strength and light weight. We also Trade quality assured Gear Box that is sourced from some of the famed vendors of the market. Besides, clients can buy these quality assured products from us at affordable prices.